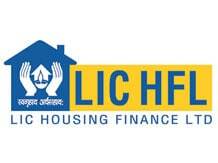 LIC Housing Finance has reported 18.4 per cent surge in its standalone net profit to Rs 5.67 billion for the first quarter ended June 30. The company's net profit was Rs 4.79 billion in the same quarter of 2017-18. The total income during April-June of this financial year stood at Rs 40.50 billion, up from Rs 36.48 billion in the year-ago period, the company said in a regulatory filing. Shares of LIC Housing closed 0.33 per cent down at Rs 571.50 apiece on BSE.